The history of human civilization is filled with episodes of conflicts and wars for power, land, and resources. There have been thousands of wars around the world. Brave warriors changed the fates of those battles, those wars, and the world still remembers them today. We study their lives, war tactics, strategies, and exploits in our textbooks. Here we take a look at the top 10 greatest warriors of all time – the bravest and most vicious people to have ever walked on earth. The Lionheart was the King of England for ten years and one of the greatest warriors of his era. He also ruled Normandy, Anjou, Cyprus, Brittany, Gascony, Aquitaine, and Nantes. Richard I is one of those rare Kings of England known by their nickname rather than the number. He was given the nickname Coeur de Leon or Lionheart for his exceptional courage and war strategies. He began leading his own army when he was just 16. The Lionheart became the main Christian leader against Saladin. 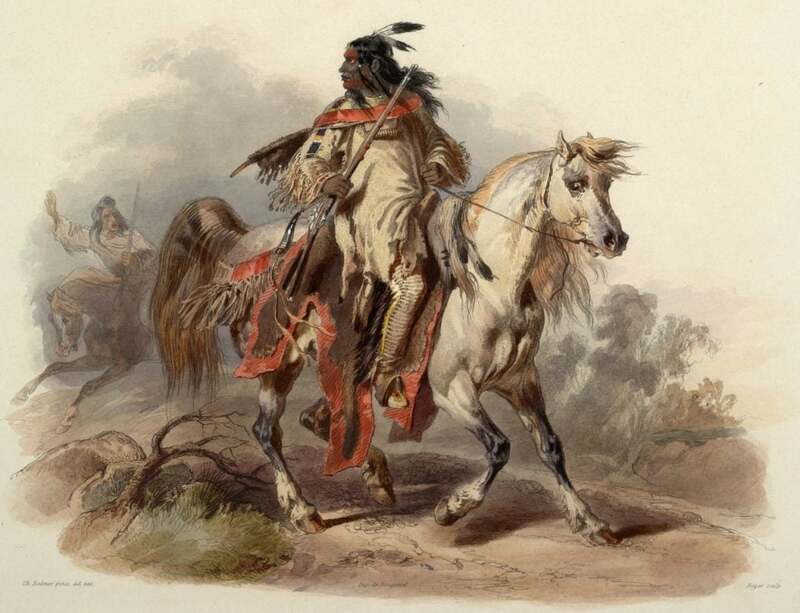 However, when he realized that he wouldn’t be able to secure Jerusalem even if he captured it, he signed a peace treaty with Saladin and returned to France. In the Western world, Saladin is often portrayed as the villain of the Third Crusade, but the Kurdish Sultan is hailed in the Middle-East as the hero who crushed the European crusaders and returned Jerusalem into Muslim hands. Born as a commoner in 1138 in Mesopotamia, Saladin founded the Ayyubid dynasty and became the first Sultan of Egypt and Syria in 1175. He was trained by his uncle Asad al-Din Shirkuh. In the early days of his military career, Saladin united the Arab forces. Even after taking over the government, Saladin personally led all the major military campaigns. Before his death in 1193, the generous Sultan had given away most of his wealth to the poor. Born in 1584, this samurai wizard is undoubtedly one of the greatest warriors to have ever walked on earth. Musashi was raised and trained by his uncle after his father’s death. By the time he was 13, he was traveling across Japan challenging some of the finest swordsmen of the era to a duel. Miyamoto’s father himself was a trained swordsman and a martial artist. Miyamoto won more than 60 duels throughout his life, and never suffered a defeat. He is said to have died with his cane in one hand and his sword in the other. He created the nitoryu technique where you fight with two swords. Attila was the leader of the barbarian group called the Huns between 434 and 453. Even the great Eastern and Western Roman empires were scared of him. At the peak of his career, Attila’s empire spread from the Rhine to the Ural to the Danube to the Baltic Sea. He had crossed the Rhine river to invade Gaul (France) and devastated much of Italy. He was defeated at the hands of the Roman empire and died in 453. Born in 109 BC in Thrace, Spartacus is the gladiator who revolted against the Roman Empire. When Rome was at war with Germany, he decided to leave the army instead of fighting the Germans. The Empire wasn’t happy with his decision, so they captured him and sold into slavery. Due to his strength, well-built body and the ability to fight, he was sold as a gladiator. Spartacus and his followers continued to build an army of slaves, and eventually they had a 90,000 strong army. He is one of the greatest warriors not only because of his strength and war capabilities but also for his courage and compassion. He was killed in a battle in 71 BC. We have all read or heard about the book The Art of War, which was written by Sun Tzu in the 5th century BC. The ancient Chinese General is revered for his military strategy, martial arts, and philosophy. He is known for having transformed the king’s concubines into a powerful military force. Tzu’s iconic book has influenced the military strategies of not only Asian rulers for centuries but also the strategies of Henry Kissinger, Napoleon, and many Western leaders. 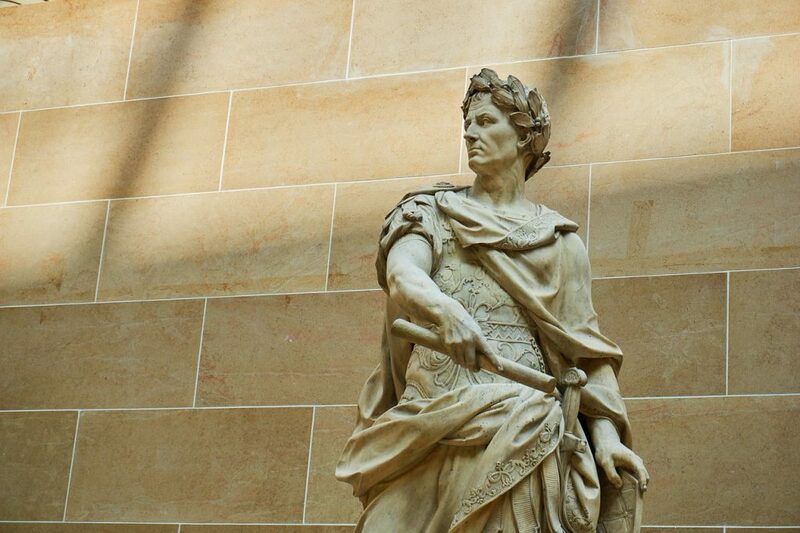 Julius Caesar was arguably the greatest General in Roman history. He won many battles in Britain, Germany, and Gaul (France) and documented his military adventures. He came to power as a quaestor and praetor and went on to become consul and proconsul. The senate grew so uncomfortable with his power and influence that they asked Caesar to disband his forces. But he didn’t give up, and eventually became the dictator of Rome in 44 BC. Hannibal Barca was considered the greatest enemy of Rome. He led the Carthaginian forces in the Second Punic War. Barca is often described as the father of military strategy. He crossed the Alps with 37 war elephants and 46,000 soldiers. After entering the Roman territory, he harassed the Romans for more than a decade. Barca destroyed hundreds of towns and won many battles before being defeated by Scipio at the Battle of Zama. Scipio forced him to sign a peace treaty in 201 BC. Leonidas the Brave was the 17th king of Sparta from the Agiad line. His early years aren’t well-documented, but he is said to be the direct descendant of Heracles. 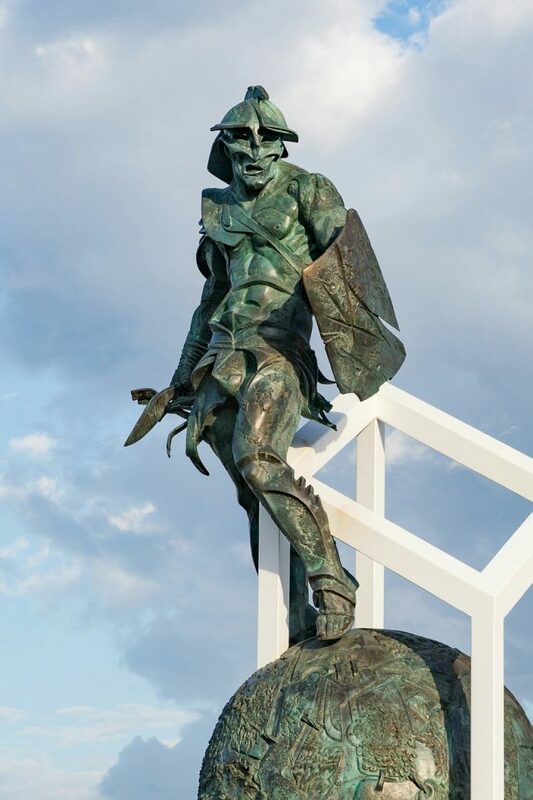 Leonidas is best known for his heroic military adventures at the Battle of Thermopylae during the second invasion by the Persians in 480 BC. King Darius of Persia had been trying to conquer Greece for almost a decade when Leonidas became the king. When King Darius died, his son Xerxes continued to lead the Persian army. Leonidas tried to stop Xerxes’ army at the Pass of Thermopylae with 7,000 soldiers including the 300 Spartans that made up his personal guard. 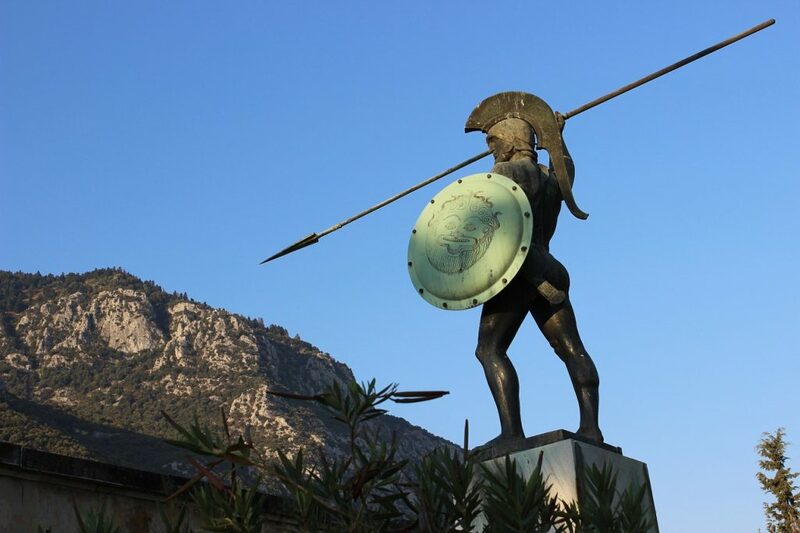 When some of Leonidas’s soldiers betrayed him, he sent away most of his soldiers and kept only the 300 Spartans. The rest is history! Alexander the Great is arguably the greatest warrior of all time. He was the King of Macedon between 336 BC and 323 BC. His empire spread from Greece to India, conquering Persia, Syria, the Balkans, Egypt and many other regions. He spent much of his early years under the tutelage of Aristotle. 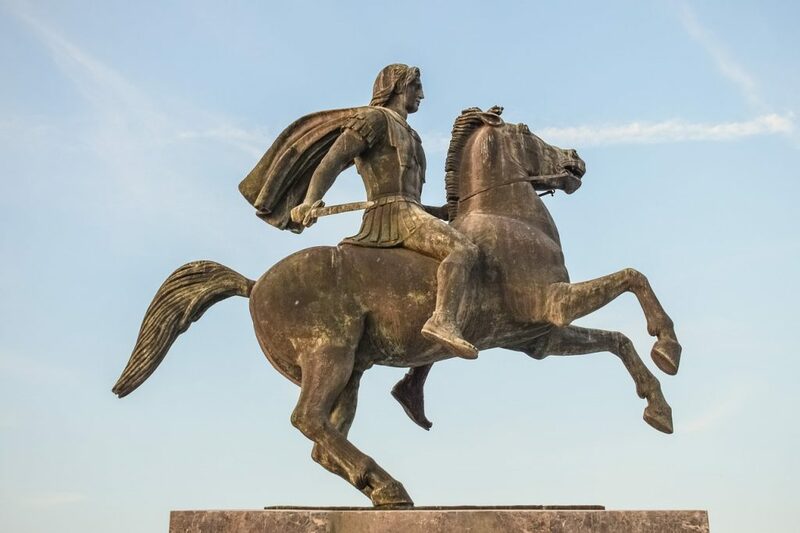 Alexander the Great fought on the front lines of almost every battle. He had also planned to invade Arabia, but he fell sick and died in 323 BC. These are the greatest warriors of all time. There are many others in ancient and modern history such as Genghis Khan, Count Roland, Vercingetorix, and Marcus Cassius Scaeva who are remembered today for their military strength, tactics, and thinking.